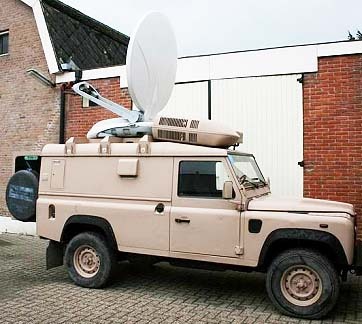 Newslive - a SNG operator based in the Netherlands - is selling a Land Rover Defender SNG. The vehicle has been completely re-wired and refurbished this year. It has travelled 26,000 kms. The Land Rover is equipped with a 1.5 meter Advent Newswift dish and a 200 Watt Xicom amplifier. It's powerful enough to uplink in SD on all satellites. HD is also possible, but on hot satellites, like most Intelsat and Atlantic Bird satellites.